Funky coloured combs to fit most Wahl clippers. These vibrantly coloured clipper combs will fit all 200 and 300 series Wahl clippers, including: the Academy, the Balding, the Envoy, the Magic Clip, the Pro Clip, the Super Taper and the Taper 2000. 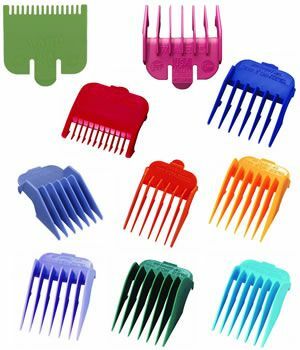 Choose the colours and sizes you need from the table below. 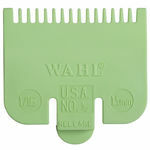 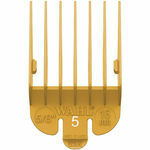 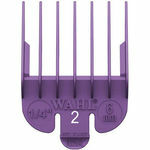 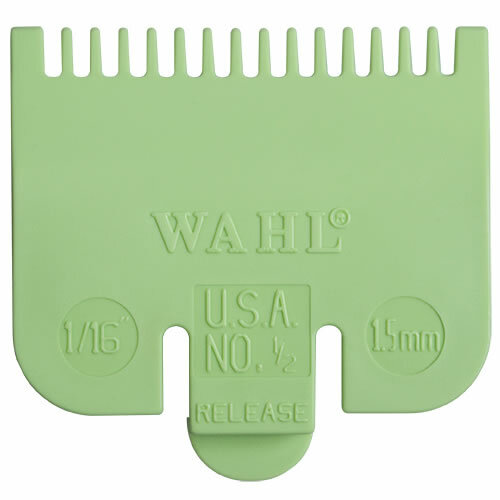 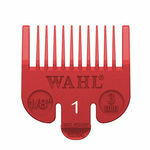 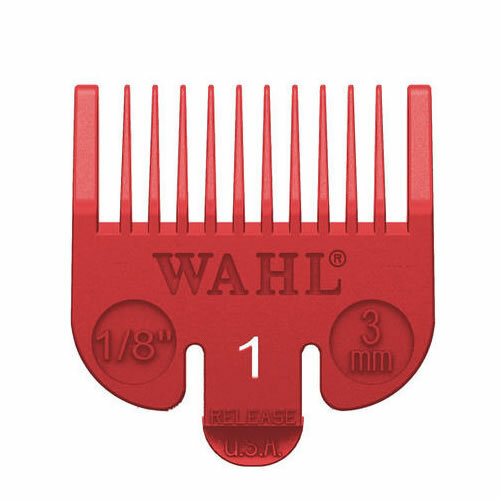 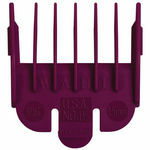 Also available as a set of 8 coloured Wahl combs (nos 1–8) in a handy plastic storage tray.